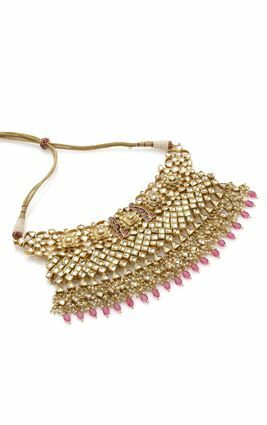 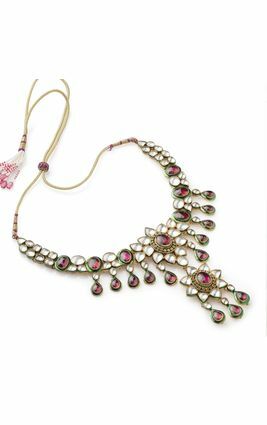 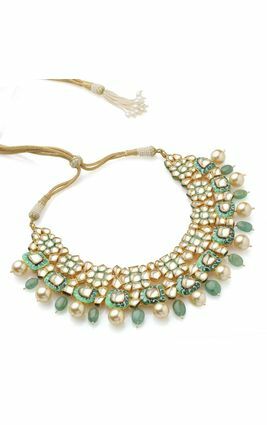 Deep red wine poured into an ornate golden chalice, laid out on green velvet for bedouin chieftains to indulge in… This beautiful silver necklace is polished in dull gold to give it an antique finish reminiscent of sand dunes and desert storms. 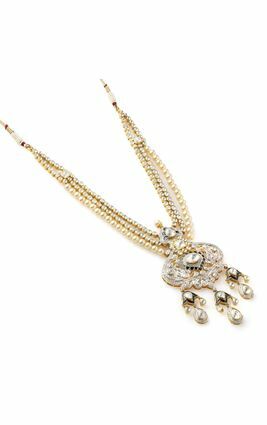 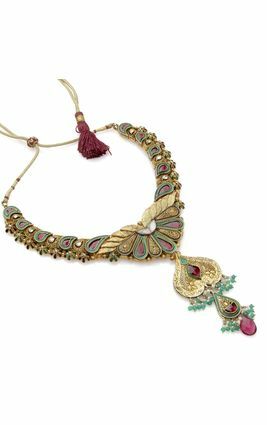 Delicate green and red enamel work is paired with luminiscent white and red kundan stones stand that out like an oasis. 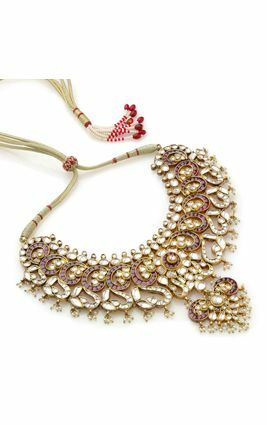 Tiny red beaded clusters add a delicate bedouin charm to this ornament. 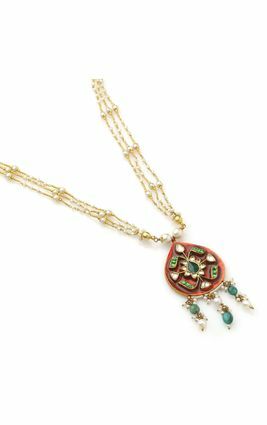 Deep red wine poured into an ornate golden chalice, laid out on green velvet for bedouin chieftains to indulge in… This beautiful silver necklace is polished in dull gold to give it an antique finish reminiscent of sand dunes and desert storms. 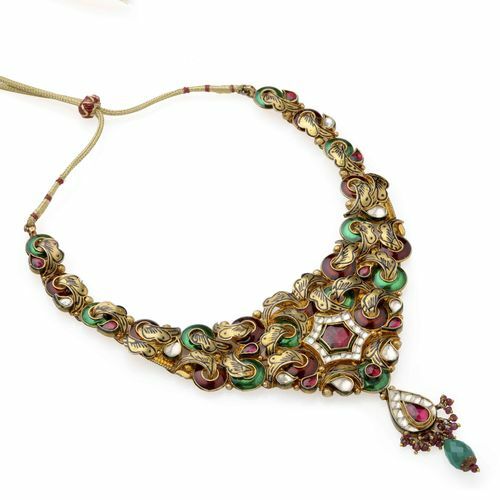 Delicate green and red enamel work is paired with luminiscent white and red kundan stones stand that out like an oasis. 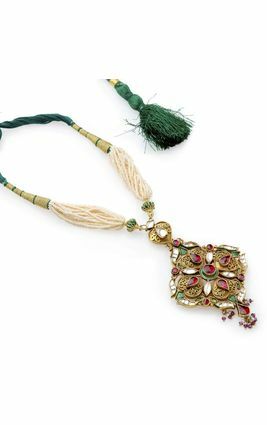 Tiny red beaded clusters add a delicate bedouin charm to this ornament.